Over 500 000 downloads and counting. 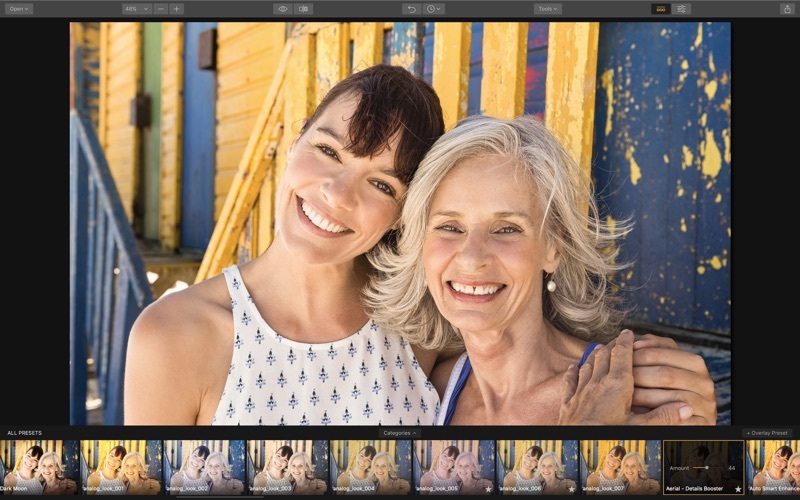 Meet Luminar - the next generation photo editor powered by Artificial Intelligence. 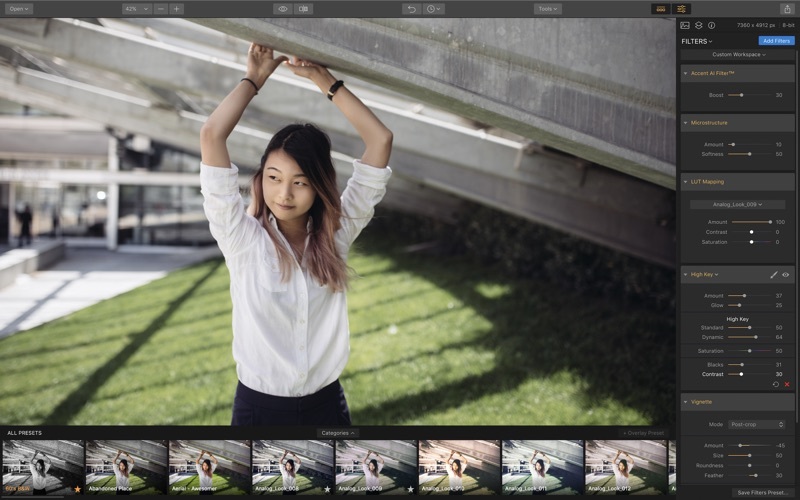 With Luminar — being ready for professional image editing doesn’t mean being complex & confusing. 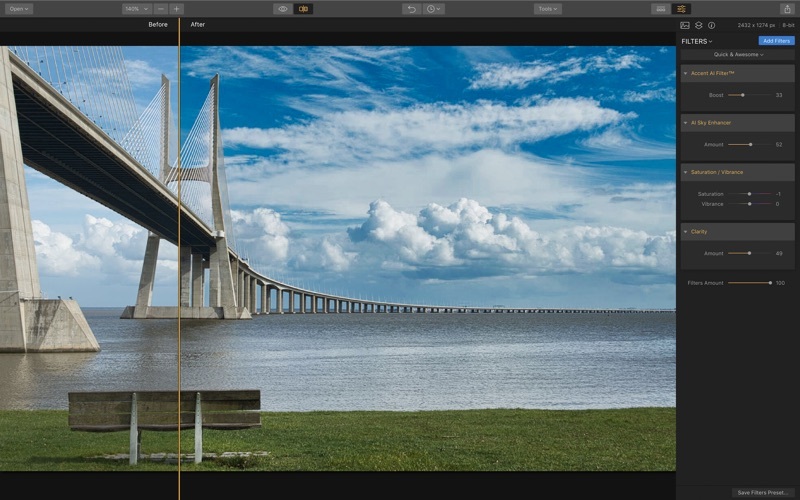 A beautiful & intuitive user interface allows you to make great images faster than with any other software. 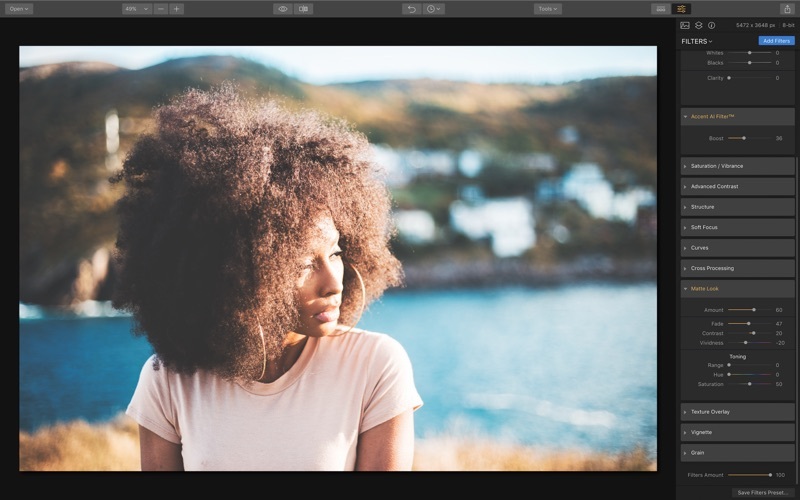 Only Luminar brings an array of smart filters & tools powered by Artificial Intelligence that help you make beautiful photos without extra hassle. Plus over 50 other filters to edit & enhancer your images. 60 Beautiful default styles. With Luminar you get access to dozens of fantastic looks, developed in partnership with globally acclaimed pro photographers, including styles for portraits, aerial photos, landscapes, street and more. Luminar is a product by Skylum - 2017 Best of Mac App Store winner. Meet AI Sky Enhancer. Available only in Luminar. AI Sky Enhancer makes your skies look great automatically. On the right panel, choose "Add Filter" and choose AI Sky Enhancer. Move a slider and watch the power of Artificial Intelligence in action. Forget about complex selections, layers, and masking. 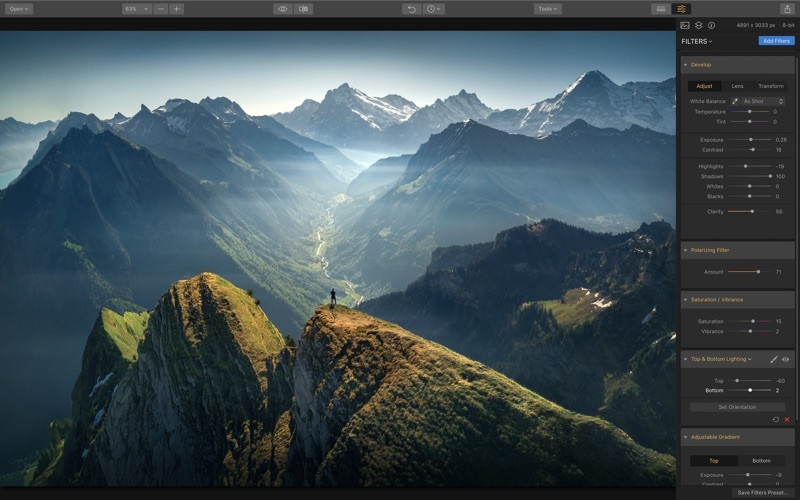 Luminar makes complex photo editing simple and enjoyable.